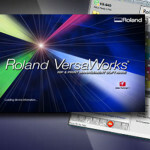 VersaWorks Dual - Developed by Roland and utilises PDF and PostScript engines to give users the most effective and powerful VersaWorks RIP ever. 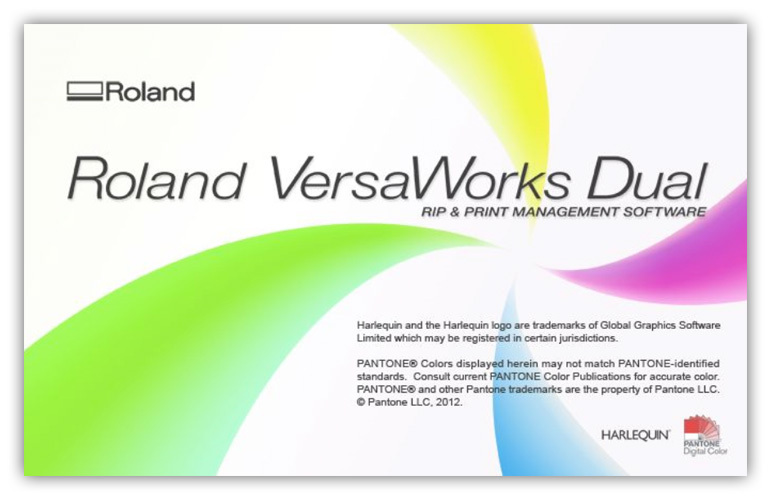 With faster previewing times and improved handling of PDF and EPS files, including files with transparencies, VersaWorks Dual boasts a new core engine, plus the advanced and ease-of-use capabilities make VersaWorks the world’s most popular RIP software. 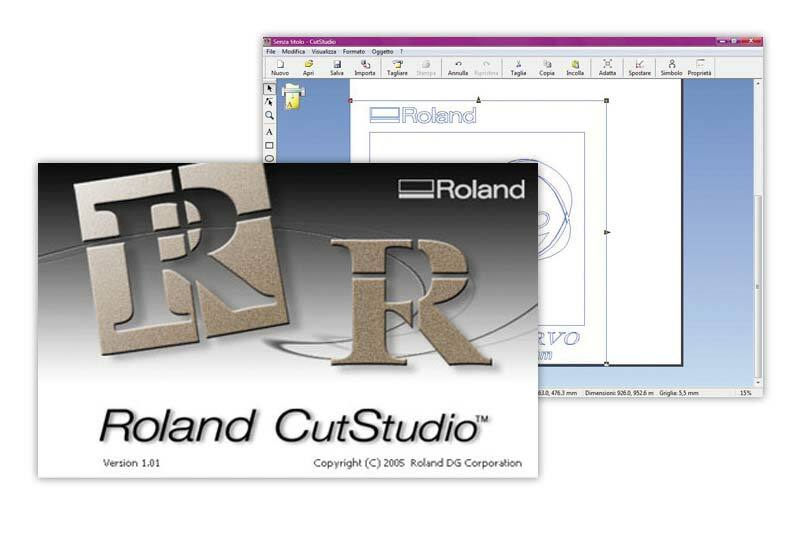 Roland's powerful CutStudio software provides the necessary tools to design and create professional custom cut graphics for a wide range of applications, including signs, decorated apparel, vehicles, point-of-purchase materials, backlit displays and much more. Dye Sublimation at it's best with ErgoSoft and Roland VersaWorks. When purchasing your printer you will have the choice of 2 powerful and professional RIPs. 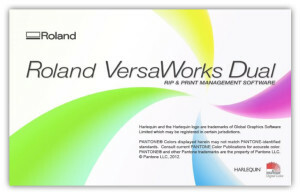 Developed by Roland for Roland printers, VersaWorks RIP provides easy and intuitive operation. ErgoSoft Roland Edition offers a full range of textile-specific features and boasts a well-deserved reputation for quality in the textile printing industry. Roland Dental Solutions. 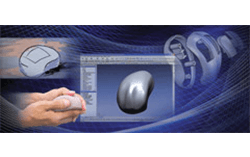 A true open architecture system, the Roland DWX series integrates with industry standard 3D scanners and CAD/CAM software to provide a cost-effective production solution. Advanced communications tools and operating features allow the DWX to mill unattended, offering confidence to the lab technician in the finished product. For all our software partners click here. Rhino 5 - A new 3-D free-form design medium for developing and communicating ideas, information, and emotions. Rhino needs only your imagination and an ordinary Windows PC.To Download or for more info click here. Photometrically accurate images with reflections, refraction, diffusion, translucency, transparency, colour bleeding, shadows, depth of field, depth attenuation, ClearFinish™, and indirect lighting. Bongo™ brings professional animation into Rhino using familiar keyframe tools found in most high-end animation packages. Animate moving, scaling and rotating Rhino objects without exporting. Objects and viewport animations are editable in the Rhino window using simple drag and drop. Modify your objects and motion data without losing valuable time changing between programs. Penguin is a conceptual, sketch and cartoon, non-photometric scan line renderer. With Penguin you can create stylised images of your Rhino models with an artistic look for enhanced graphic and visual appeal. Penguin brings freehand sketching, watercolor painting, cartoon-like rendering and technical illustration to Rhino and AutoCAD. Brazil High Performance, Integrated Rendering for Rhino. 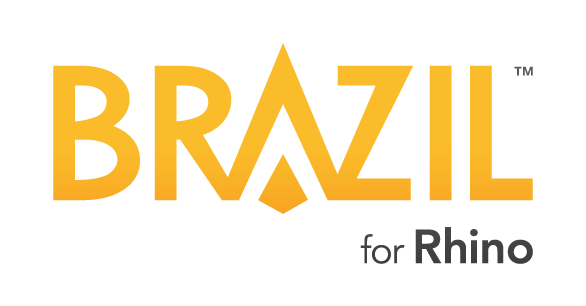 Top artists and designers from every type of industry rely on the Brazil render engine for their most demanding work. 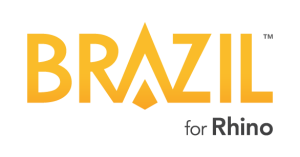 Whether showing off the latest designs for a new mobile phone, doing site-accurate visualizations for a new resort-hotel, or generating images of your newest jewelry designs, Brazil can help you create stellar imagery quickly and easily.